Lauren Stillwell isn't your average damsel in distress. When the NYPD cop discovers her husband leaving a hotel with another woman, she decides to beat him at his own game. But her revenge goes dangerously awry, and she finds her world spiraling into a hell that becomes more terrifying by the hour. After a serious professional stumble, attorney Trevor Mann may have finally hit his stride. He's found happiness with his girlfriend, Claire Parker, a beautiful, ambitious journalist always on the hunt for a scoop. But when Claire's newest story leads to a violent confrontation, Trevor's newly peaceful life is shattered as he tries to find out why. A successful lawyer and loving mother, Nina Bloom would do anything to protect the life she's built in New York - including lying to everyone, even her daughter, about her past. But when an innocent man is framed for murder, she knows that she can't let him pay for the real killer's crimes. 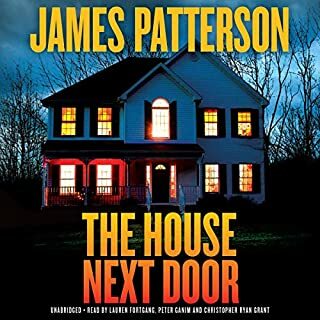 James Patterson's scariest, sexiest stand-alone thriller since The Quickie. Ben isn't like most people. Unable to control his racing thoughts, he's a man consumed by his obsessions: movies, motorcycles, presidential trivia - and Diana Hotchkiss, a beautiful woman Ben knows he can never have. When Diana is found dead outside her apartment, Ben's infatuation drives him on a hunt to find out what happened to the love of his life. Matthew Bannon, a poor art student living in New York City, finds a duffel bag filled with diamonds during a chaotic attack at Grand Central Station. Plans for a worry-free life with his gorgeous girlfriend, Katherine, fill his thoughts - until he realizes that he is being hunted, and that whoever is after him won't stop until they have reclaimed the diamonds and exacted their revenge. NYPD detective Jacob Kanon is on a tour of Europe's most gorgeous cities. But the sights aren't what draw him - he sees each museum, each cathedral, and each cafe through the eyes of his daughter's killer. Senior FBI agent Nick Pellisante is closing in on the notorious mob boss "The Electrician", when the scheduled sting goes spectacularly awry. Two FBI agents are dead, the boss is wounded, and Pellisante vows the Electrician's next move will be from a jail cell. Andie Echeverra, a part-time actress and a single, full-time mom, is assigned her next role as Juror #11 in the landmark trial against Mafia Don Dominic Cavello. Everybody is on edge. No one has ever crossed the man whose orders have made entire families disappear. Though Cavello's influence extends across blue uniforms and black robes, the case should be open-and-shut. But the legal system fails with devastating results, and Nick and Andie are the only ones left to seek justice. To stop the Electrician, they must take matters into their own hands. They are the judge and jury now. 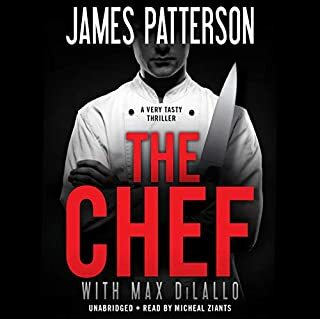 James Patterson spins an all-out heart-pounding legal thriller that pits two people against the most vicious and powerful mobster since John Gotti. This is a fast pace powerful book. 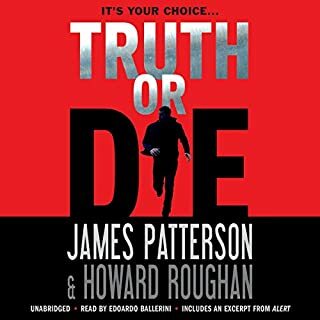 James Patterson has done it again. It is pulled from the pages of the Godfather and Sapranos. I haven't finished it but I can't wait to get back on my bike and finish listening to it. Is James Patterson spreading himself a little too thin these days? My husband and I have been a fan for years, but this book fell a little short of what we have come to expect. The ending seemed "formula" and rushed; as if needing to make a deadline. With that said, Judge and Jury is still a good mystery. I like the Pelasante character and Montengna's narration is brilliant. This is a good story with typical Patterson energy and excitement. The award, however, goes to Joe Mantegna who narrated so effectively that after a chapter or two I forgot there was only one person reading! Characters stood out and their individual feelings and personalities became familiar. Mantegna never seemed to forget which character was speaking. It made me chuckle at the thought of him changing costumes for each one. All in all, Patterson seldom disappoints and in the case of Judge & Jury, Joe Mantegna makes sure of it. 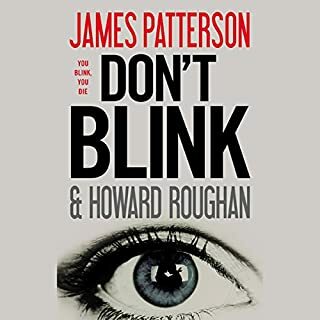 I read Patterson for light diversion and I have never expected from him a literary tour de force, but this book was almost unbearable. Suspense and action novels sometimes call for a suspension of belief on certain matters but the good ones draw you into a world that is credible and interesting. Judge and Jury has no credibility. Every bad guy is superhuman. They can be old men and take a bullet in the shoulder, a three-story crash through a window, a fall in an icy crevice and still grapple like Hulk Hogan. The chapters are so short as to be annoying. The protagonist could be in the middle of a swing. One chapter might explain how he pulled back the arm and the next chapter begins with the punch itself. In print, this might be okay but on audio, it is as annoying as someone shutting off the TV and turing it back on every five minutes. You might still be able to make it through this book but I think you could do much better with your audible credits. What disappointed you about Judge & Jury? I didn't realize that this one was the same as the movie the Juror. I didn't like the movie either. 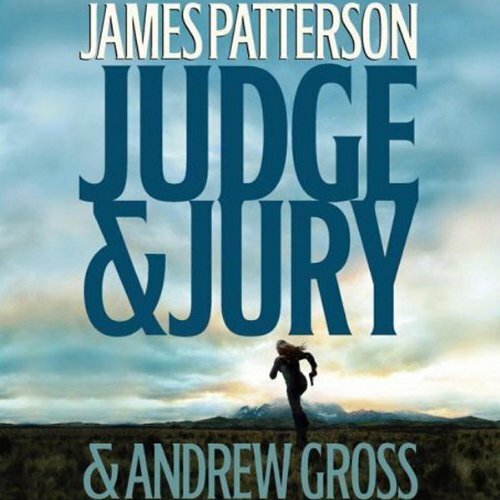 What was most disappointing about James Patterson and Andrew Gross ’s story? I was disappointed that I already knew the story line. What does Joe Mantegna bring to the story that you wouldn’t experience if you just read the book? Joe Mantegna sounds like a mob boss, so he was a good pic for the book. This story was so implausible it was really hard to listen til the end. The reading of it was fine. It's just that where the authors take their characters is so darn unbelievable as to make you start laughing in disbelief at the plot fairly early on in the book. Others of Mr. Patterson's books are so much better written. I'm actually sorry I wasted points on this one. I thought this was his best until I started reading Step On a Crack. Now I'm not sure which is his best. He just keeps getting better and better. I love the fact that most of his books are written where I grew up, Long Island and New York City. I can see all the places clearly as he describes them, and his dialogue is almost as good as Pat Conroy's. James Patterson has done it again. The story starts off whith needing some explanation, BUT, it goes back and fills in the points. You'll love the ending. This book surprised me. 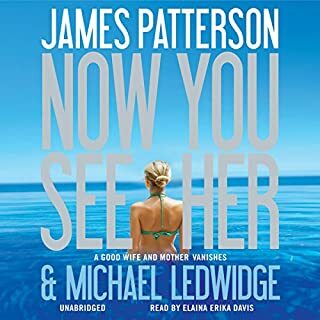 Patterson's latest books have been good beach reads but that was about it. They were slightly predictable ... not really surprising ... but nice to read when you did not want to think. "Judge & Jury" was a pleasant surprise. It really held my attention with the plot twists and surprises. It actually kept me in my drive way a couple times. I wanted to finish the chapter before getting out of the car. To me, that is the test of a good listen.